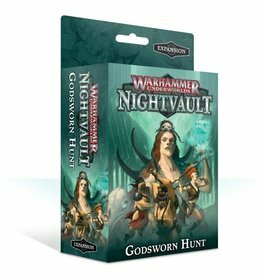 Protect your deck from the Dark Gods' most strenuous trials with these card sleeves! 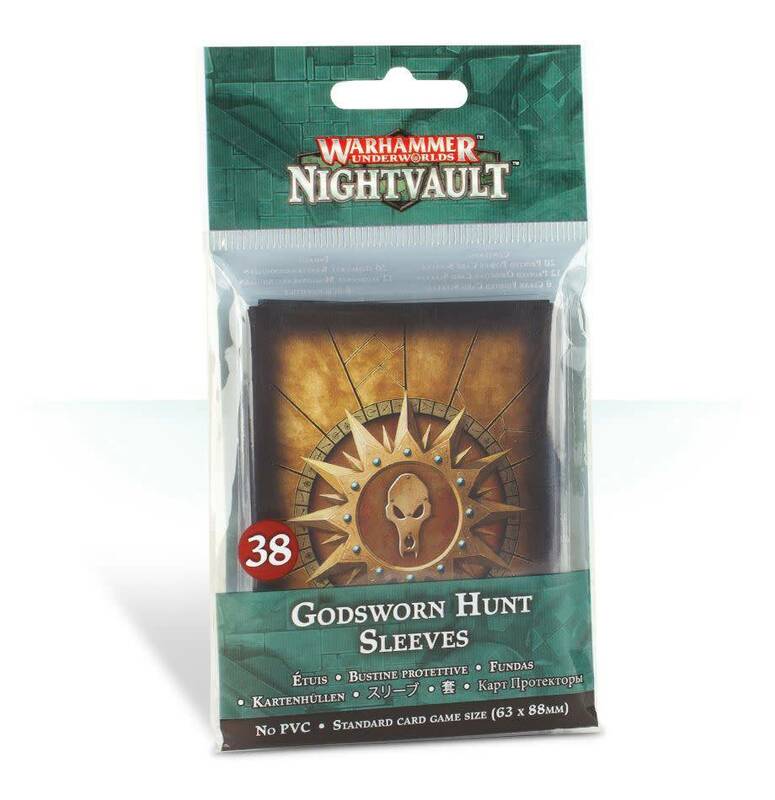 This pack contains enough sleeves to armour a full deck and your fighter cards, keeping them safe from wear and tear as well as errant spills while allowing for smooth shuffling. 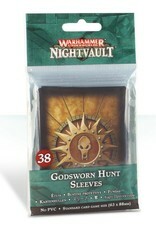 These sleeves feature unique iconography tying them to the Godsworn Hunt, making them perfect for fans of this warband. - 6 transparent sleeves for your fighter cards.